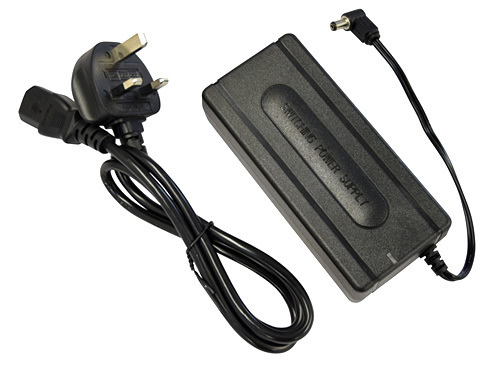 This 24V DC power adapter is capable of supplying loads of up to 5A continuous. 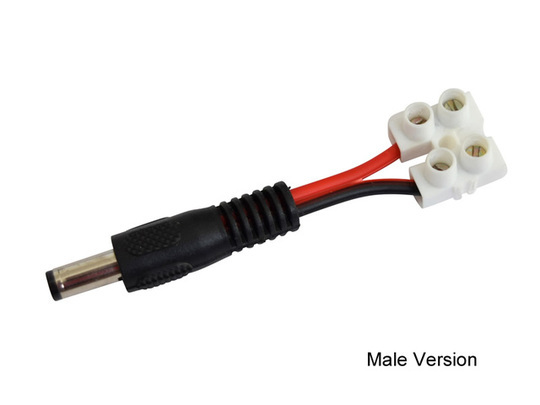 Each adapter has a rectangular body, with a 200mm output lead running from the adapter block to a male DC right-angle connector (2.1 x 5.5mm). 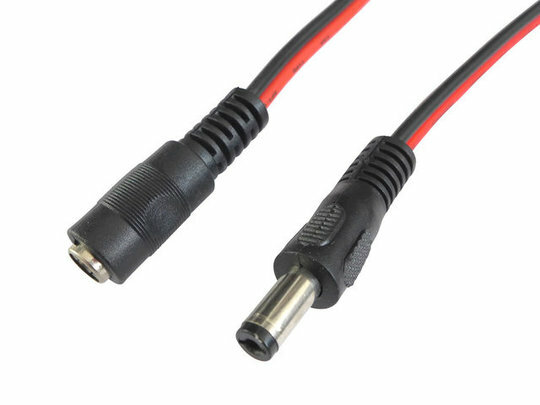 An IEC C13 mains socket in the side of the adapter matches up with the included mains cable, which is available with either a UK 3-pin (as pictured) or EU 2-pin fused plug, selectable below. A small green LED on the side of the body indicates when the mains AC input is switched on and a DC output is being generated. These power supplies are appropriate for operating a single GR-WM3 motor, a 24V GR-EP-52 motor, or similarly sized inductive loads (larger motors may not be supported since the over-current protection will stop the output). Resistive loads (such as LED lighting) can be handled up to 5A. 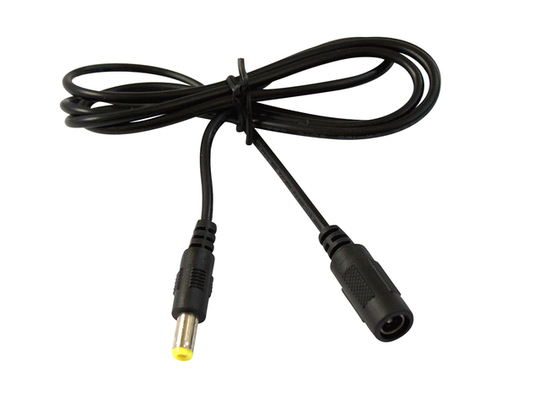 The cable running from the supply is only 180mm long, but the option is available above to add a 1.2m extension lead to this.